The League of Legends (LoL) is a highly popular video game. 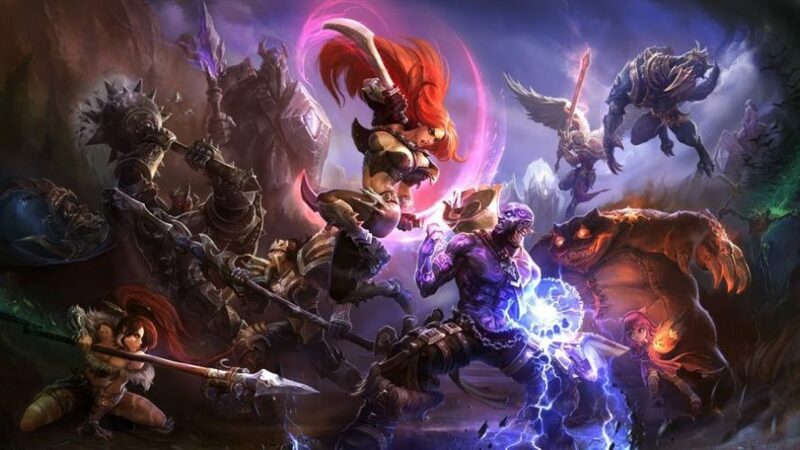 Riot Games released it in 2009 and today, millions of people play it worldwide. These players include professional teams who battle each other in various tournaments including the World Championship held every year since 2011. The 2017 Championship attracted 60 million viewers, and it had a combined prize pool of $4 million. As you can now tell, making money off LoL is possible. Another way of doing it is through ELO Boosting also known as Match Making Rating (MMR) Boosting. It occurs when someone logs into your account to play a ranked game. Doing so improves your MMR. Here are 3 Tips to making money with ELO boosting. One of the principal ways of making money through LoL is online streaming. For example, becoming a Twitch partner is possible. You can set up YouTube videos as well. Producing quality material would attract many LoL fans to your YouTube. Then you can monetize your videos after you gain a considerable following. Doing so would help you earn loads of passive income. Unfortunately, producing quality videos for your viewers is a challenging experience. For example, you cannot do it if your videos contain battles between low-rank MMR players. Remember, most LoL players are at this level, so they want to see something different. ELO boosting helps you play at a new tier with highly ranked MMR players. These battles will attract more people to your video streams helping you earn additional income from your partners such as YouTube or Twitch. You can learn a few tricks if you go for LoL duo queue boosting. As the name suggests, you can play with the team that improves your ranking if you opt for this duo queue boosting. Going for it would turn you into a better player than you were before you tried it. That means your chances of winning high tier battles will increase exponentially. These improved skills in LoL will translate into winnings. For example, you will win wagers that you and your friends placed on various LoL game where you were a participant. You will use the skills you learned from the boosting team in local competitions helping you scoop the prize money for such events. The cost of ELO boosting shocks many people. For example, did you know that the cost of moving your profile from bronze to gold varies from $100 to $250? Parting with as much as $500 for a boost to diamond is also possible. These prices are high, but they are worth it. Remember, going for cheap offers is a problem because fraudulent companies lure you with such inexpensive prices. Instead, go for a company that charges reasonable prices. This company understands the value of their work. Then watch out for the discounts that it offers. Take advantage of these discounts so that you can save as much money as possible. Helping other people boost their profile at full cost while keeping the discounted part is also an excellent idea.